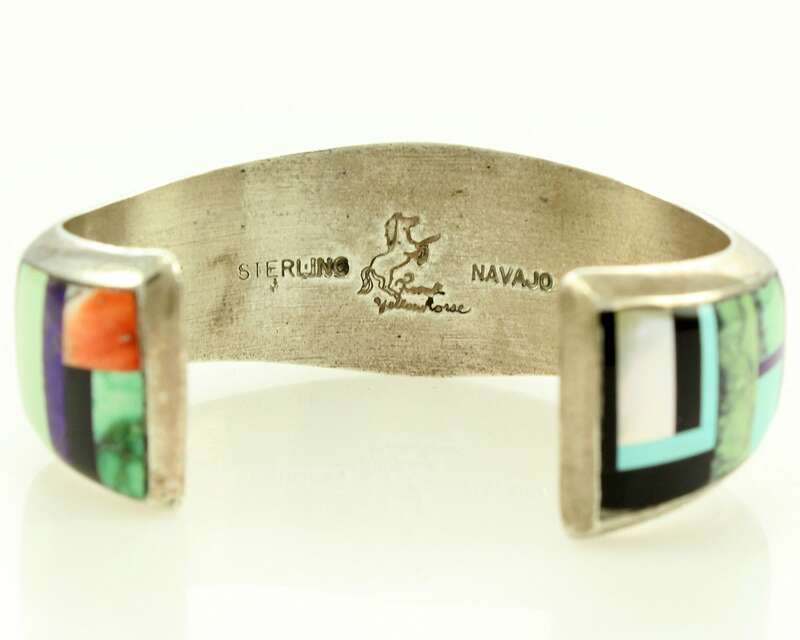 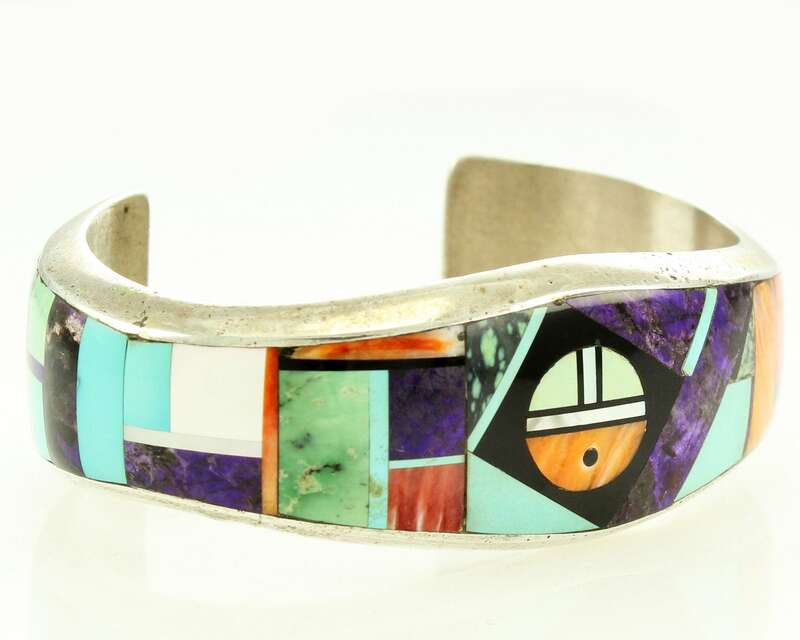 Frank Yellowhorse Navajo SunFace Multistone Inlay Sterling Cuff Bracelet - Vintage Native American Silver Bracelet Fits Up To 6 3/8"
Frank Yellowhorse Multistone Inlay Sun Face Sterling Silver Cuff Bracelet. 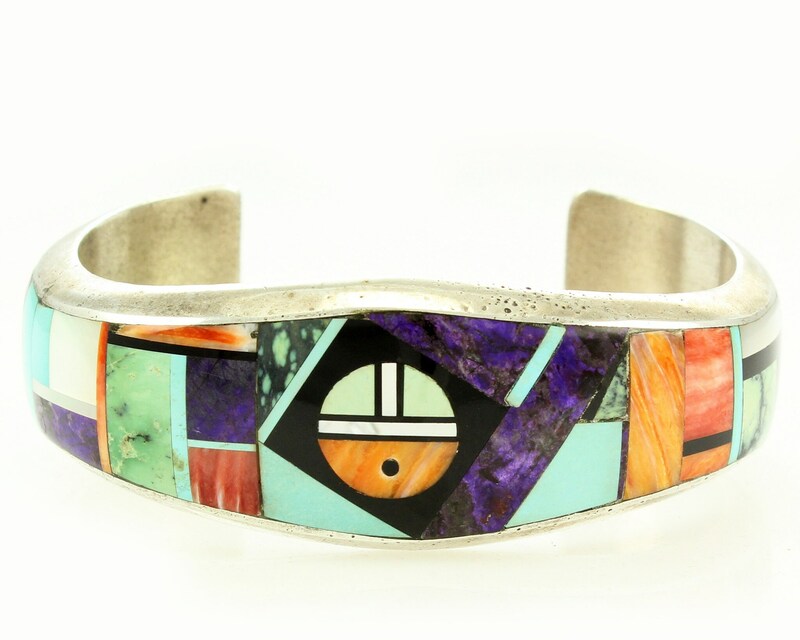 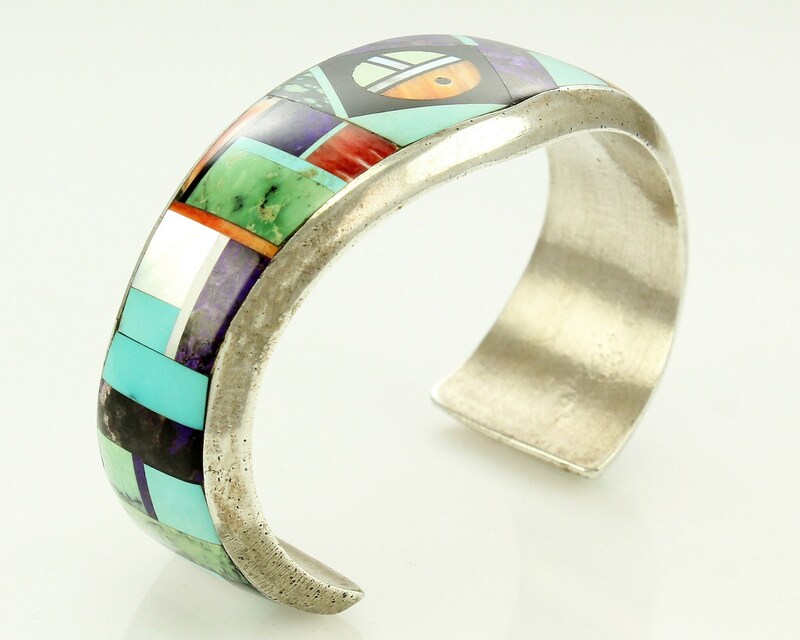 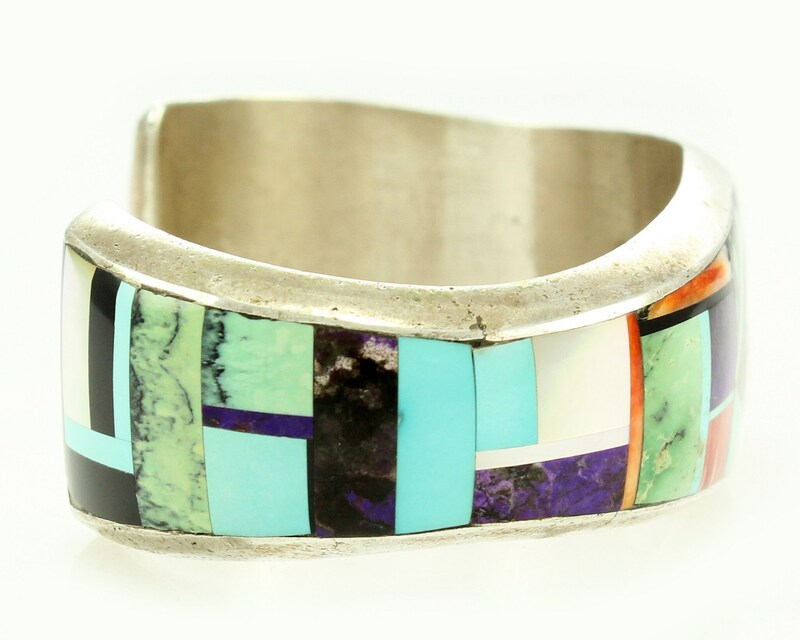 This very heavy cuff bracelet was cast in solid sterling silver and then inlaid with a multi colored stone geometric design with sun face at center. 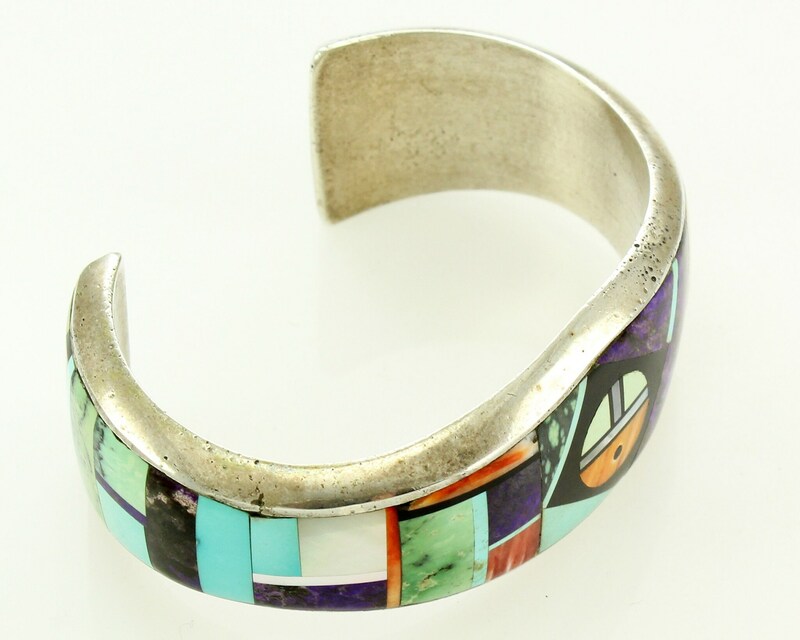 The cuff bracelet measures 1" wide at the center and has a length of 5 1/8" and gap of 1 1/4", for a total wearable size of 6 3/8". 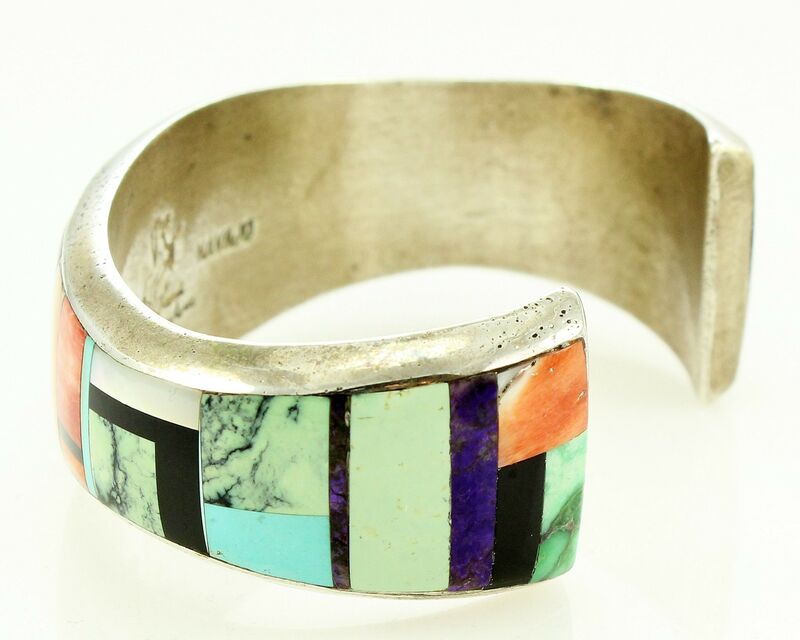 It weighs 59.3 grams. 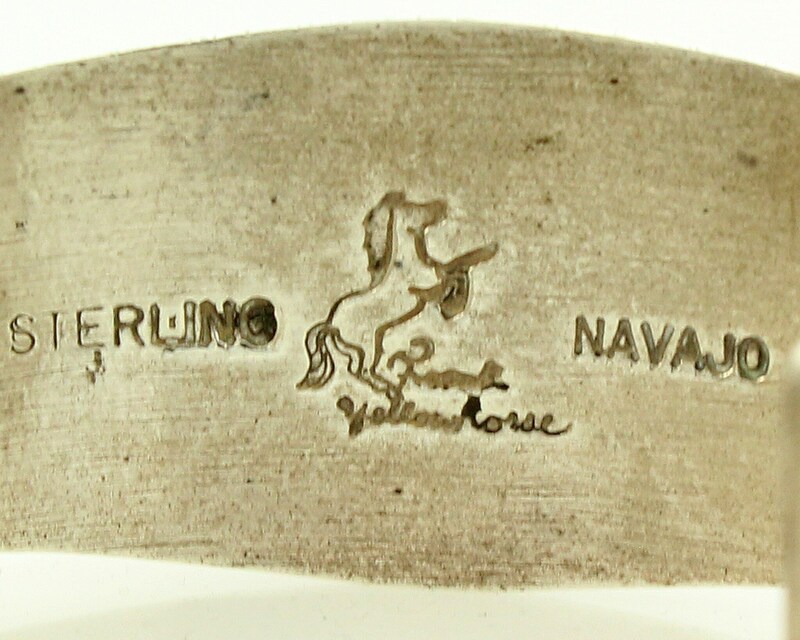 In good vintage condition, with no damage noted. 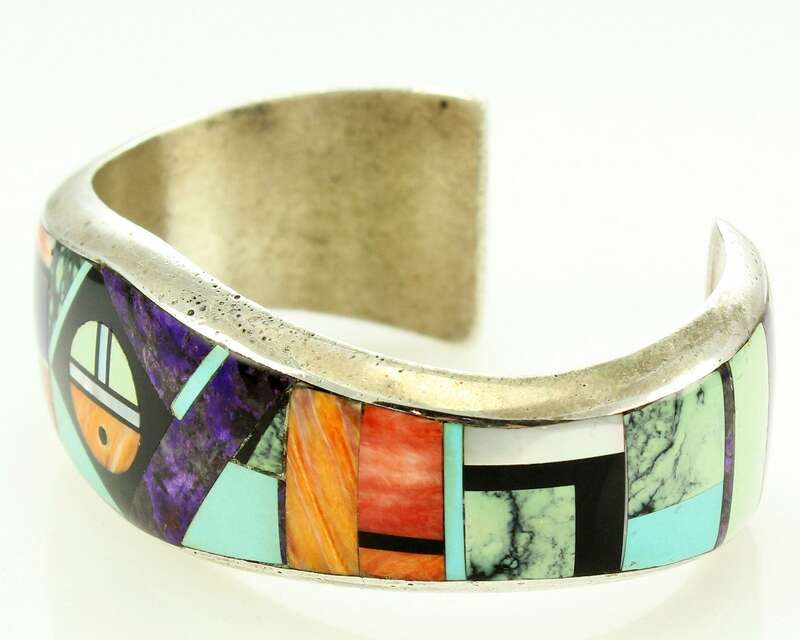 Frank Yellowhorse is the patriarch of a family of artisans, notably his son Alvin Yellowhorse, who works in a similar style.